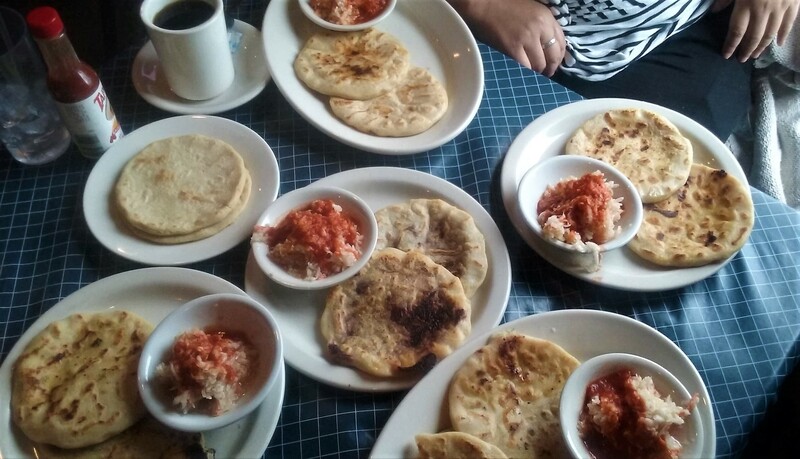 Salvadoran pupusas are a thing of beauty. Handmade savory masa patties are stuffed and fried on a griddle for a delicious inexpensive meal. Here are the best ones and where you can find them. I fully expect to be chastised in the comments for not trying every single pupusa joint that was suggested to us. After this article came out, I could barely keep up with all of the places you threw at me. I tried as many as I could without developing a cornmeal allergy, I promise. Multiple locations are in Woodbridge, Manassas, Arlington, Alexandria, and even Silver Spring, MD. This is a family-friendly restaurant that knows what it does best. 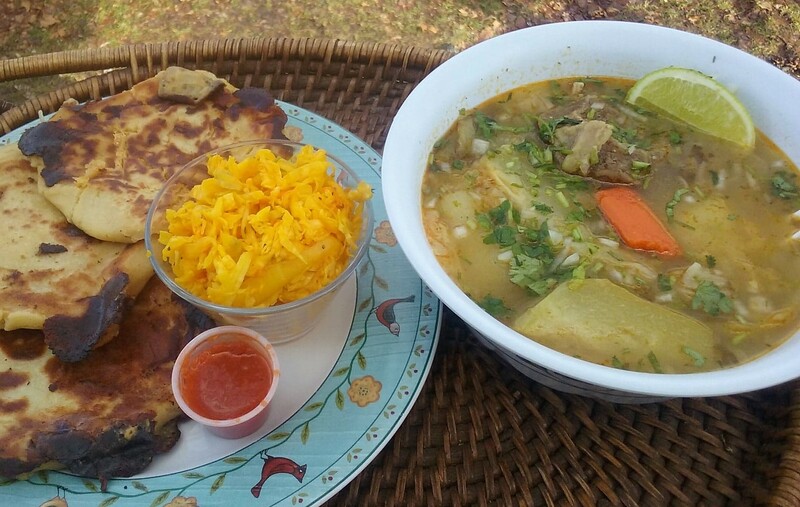 On any given day, you'll have workers dropping in for lunch on the go, families coming by after church, and people just looking for some Salvadoran comfort food. You can't go wrong with any of their pupusas, but my favorites are the chicken pupusas and the pupusa loca with everything. The curtido is served by the big bowlful here, so it's easy to load up the perfect bite. The cool thing about El Pulgarcito Grill in Woodbridge is that they seem to be a very community-centered restaurant. They have a full bar with gigantic specialty drinks, karaoke nights, and weekly specials. My favorite pupusas here were their revuelta (pork, beans, and cheese) and the squash pupusa filled with cheese and slivers of fresh veggies. Once we got to talking, the owner loaded us up with everything they had on their pupusa menu so we could try each type. 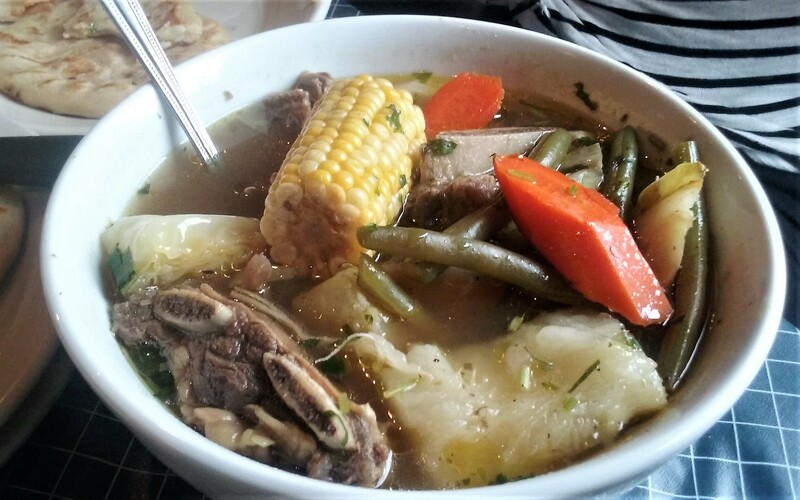 Their sopa de res was HEAVEN with huge chunks of tender beef and loaded with fresh vegetables. For more information, visit their Facebook page for announcements and special events. You can also visit their second location in Alexandria at 3838 Mount Vernon Avenue. Multiple locations in Woodbridge, Arlington, Chantilly, Sterling, Reston, and Silver Spring, MD. I stand by my original favorite to join the ranks of these others. 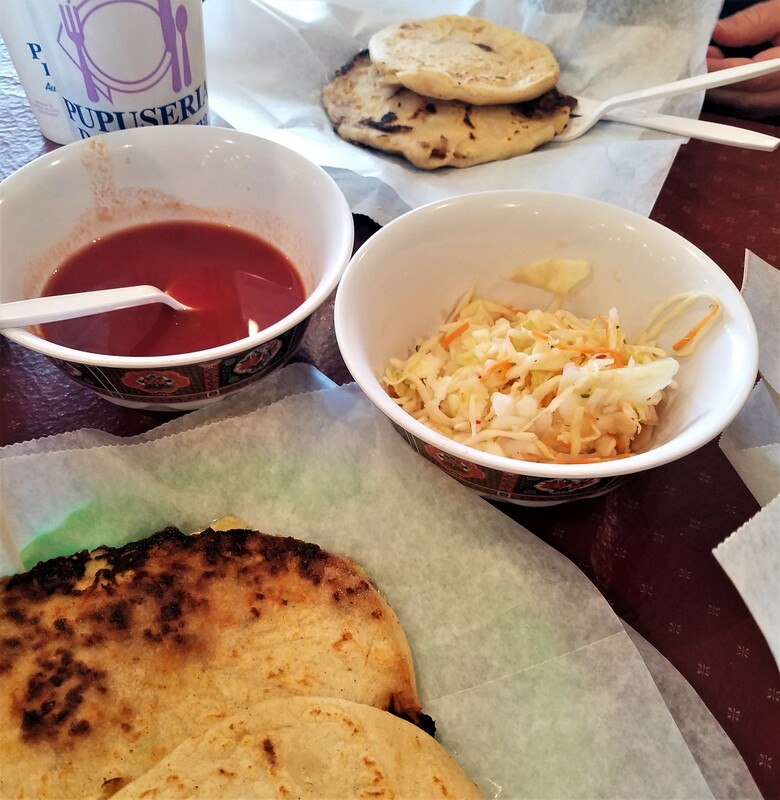 A trip to King Pollo for chicken wouldn't be complete without a pupusa revuelta or two. I hate to say it, but this wouldn't be my first choice anymore, but it's still in my top three. Honorable mentions go out to all of the pop-up pupuserias in the big Asian and Hispanic grocery stores. They put out great dishes with limited space and make a great takeout option. Here's what you can get from Taqueria Yazmin #2 in Fresh World (9540 Liberia Avenue | Manassas, VA). The pupusas were a bit on the dense side, but I would definitely order them again if I were there shopping. The nicest thing about pupusas is that they can be found pretty much everywhere in Northern Virginia. I'm sure there are little local restaurants that do them very well, too -- It's just a matter of getting out and finding them. 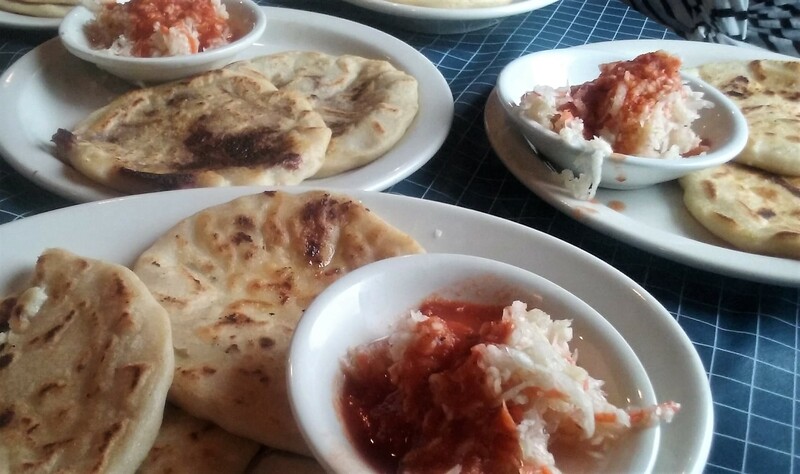 Head out and do your own pupusa roundup! 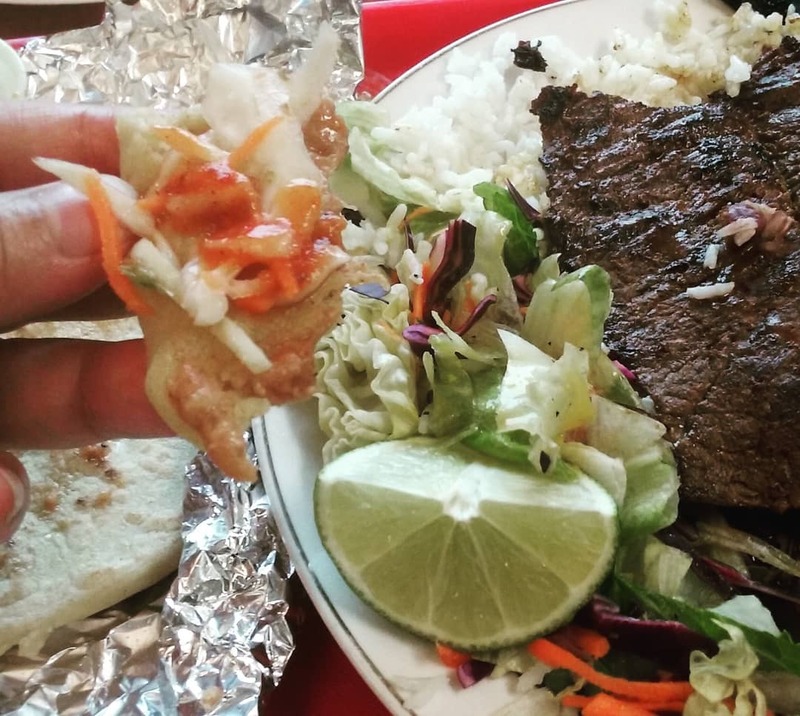 Did your favorite pupusa place make the list? Let us know in the comments.